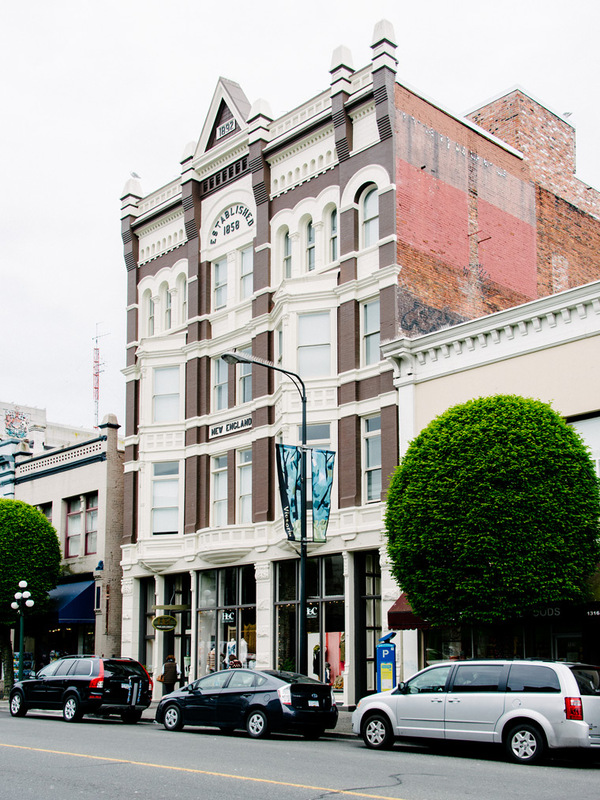 The tall four-storey New England Hotel, located in the heart of historic downtown Victoria, was constructed in 1892. Previously, it had been used primarily for commercial activities at the main floor off Government Street, while it’s upper hotel levels were vacant for some time. The project was granted rezoning for 22 small residential units, four of which were set out on a newly constructed fifth floor. The primary façade facing Government Street was restored using a colour scheme that draws its inspiration from heritage photographs. Two new exit stairs and an elevator will were installed to serve each floor level. The main floor was redeveloped for commercial interests and the existing basement was renovated for storage and service use.